Summer on the Water…There’s nothing like it. There's nothing like being in the mountains in the summertime. Most of you know, we're just south of Vallacito Reservoir, a mountain lake created to supply ranchers in the heat of the summer months. Well, for whatever reason, summertime sports having taken off on our little mountain lake up here, and the ranchers are getting plenty of water. The kids LOVE IT! 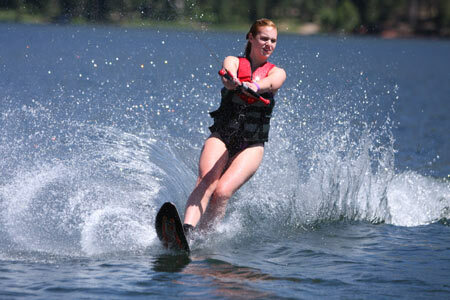 We've got wave runners, big ski boats, big wake board boats, and the activity of the summer, SURFING. I'll post more on that later. So, when your sitting at home, wishing you could cool off, come and join us up here in Durango. It's AWESOME! !